Friends of Cobbett Road Library (FCRL) is an informal group of people of all ages who meet at monthly intervals in the library. FCRL initially came into being to protect a greatly valued community asset and members set about publicising their cause in the local newspaper, putting posters in their windows. 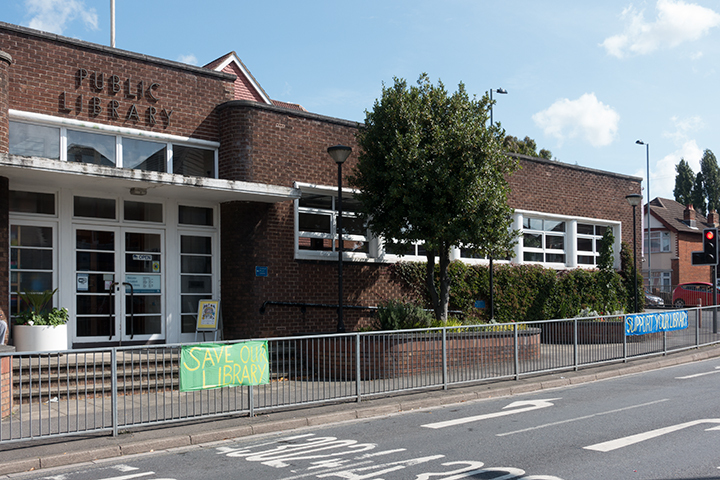 Since then the FCRL and Cobbett Road Library have gone from strength to strength organising events, activities and, with Library staff, making the library the centre of a friendly and lively local community. We are resuming our tradition of talks on a range of topics, with two Friday evening talks on March 22 and April 5. See full details on the News & Events page. This year we are celebrating World Book Day launching a book trail around Bitterne Park. The Friends' monthly meeting on Saturday September 29 included our formal Annual General Meeting. There is now a box in the main library area for comments, requests and suggestions. If there's a book, an author or a subject which you think should be on the shelves, please use this system to record your opinion. ﻿The Library's future is secured. What was the "Save YOUR Library" page is now called "Campaigning 2011 to 2016", and has details of who has been operating the Library from June 4, and how the change from Council operation came about. SCA group who lease and operate Cobbett had a hectic first year in charge, and produced a Business Plan for Cobbett late last year. They also have ideas and plans for major changes - including combining the Children's and Adult Library areas. We await formal proposals!!! See "News and Events" and "Events & Talks Archive" for details of future and past events. There is no car parking available at Cobbett Hub - the nearest on-street area without parking restrictions is about 150 yards away in Cobbett Road. Bus services to and from the City centre are frequent - First Bus/City Red 8, BlueStar 3, 16 & 18, Xelabus X10 all stop nearby. Follow this link to Google Maps showing the location of their stops and Bitterne Railway Station. The Library's postcode is SO18 1HL, but online maps show that location some distance from building. We could offer latitude and longitude, but a more user-friendly system is What3Words, where the Library entrance is coded hired.solo.lace and the end of the no-parking yellow line in Cobbett Road is exists.agrees.broke (pretty much where online maps show the postcode "pin"). Some in-car GPS sets can use What3Words locations.